This mix was very much about keeping the party vibe… Imagine partying with a cocktail or vodka in the sun… Perhaps a terrace, rooftop or beach party, our playlist reflects this environment. As the alcohol takes over and the tracks get more popular the party becomes more fun. It’s about having a good time and not taking anything too seriously. What music movement or sound from is still influencing the sound of Zumo? We are always influenced by a lot of different sounds, house is the predominant sound with us but we love all variations of electronic music as well as other genres. Often if we aren’t in the studio or playing out we will listen to rock/indie, disco, jazz, it really depends what mood we are in. It’s tough nowadays to be influenced by anyone one thing and it’s more enjoyable to broaden your taste. It makes producing and djing more interesting and gives you the ability to be more creative and personal. This is an interesting question because you can over think the electronic industry these days. It does seem everyone is making music or running a label due to the accessibility and popularity of the ‘in the box’ studio, not to mention all the thousands of loop packages available to make it easier for people to produce… Maybe it does effect the quality to some extent but people know whats good and good music always prevails and will surface no matter what… It’s very much up to you to find the music you like and decide for yourself. We have no problem finding quality music, there’s always something at our disposal, whether it be a new promo or something we have found on vinyl. 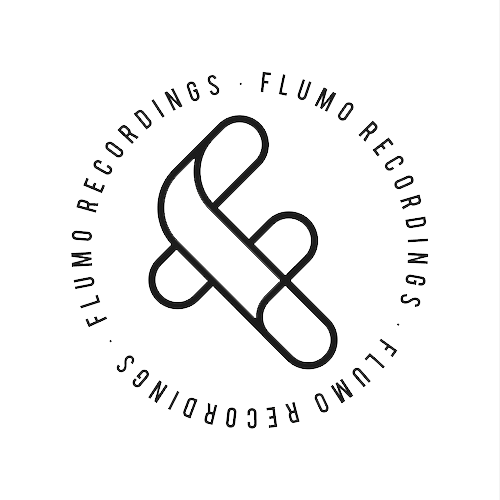 Recently you release track on the current VV.AA, Flumo Dot Colour Series :: PINK. The feedback are being very positive,and many of the reviewers and artist are playing it on his sets and mixtapes. Could you tell us something else about this job? For us music is about sharing emotions and creativity with others, with that said sometimes our productions have more depth and character, other times our productions can serve as something more simple. That maybe the case with ‘Fall Down’, it’s a simple, stripped back track but definitely has a nice feeling to it… Sometimes when you start making a track you don’t quite know where it will go until you have a complete loop which sounds like something you might play. So to say you’re going to make a huge vocal track or a darker track may start as an initial idea but two hours later could be something completely different. ‘Fall Down’ was one of the creative sparks which evolved organically without to much thought or planning. But really it’s down to the individual and how they perceive it. Is there any style or dynamics that in an Zumo’s dj set is a must? The main thing to keep in mind in terms of the dynamics of one of our sets is the direction. We try not to make things too linear, obviously this isn’t unusual, however if we have a wicked disco track we both want to hear and its 2am in the middle of a house set then we will just play it. People broke down the linear barriers a long time ago and it’s all a part of standing out now, or more accurately, adding that personal touch. Apart from the music, what else fills Zumo’s life? Well Phil (Kallitsakis) works as a graphic designer, while Si (O’Connor) is actually training as a personal trainer, not the usual path for a dj/producer. Lets say, someone from your agency calls you to ask that you could choose a club or event and also the artist to play with. Which one would you choose? and with who would you like to play? That’s a tough question, there are so many dj’s who inspire us, for example Tiger & Woods but also so many characters. Not sure we could really select someone we would want to play along side without meeting them first… Some of the most fun parties are label parties where it has an intimate feel. We also enjoy events with smaller crowds, around 200 people, those are always fun.